Diabetes and blindness link "should not be underestimated"
The link between diabetes and the risk of blindness is one that many people are not aware of, but it is a danger that needs to be highlighted, one expert has noted. Boots pharmacist Angela Chalmers said that Type 2 diabetes is often seen as the diabetes of the older generation, and that it is less dangerous than type 1 diabetes. However type 2 still leads to the same health complications as type 1, and for this reason its effects should be highlighted more effectively, she noted. "It leads to blindness, kidney failure, intense nerve pain, poor circulation, heart attack and stroke. Increasingly it is affecting people as young as their teens who are overweight with excess fat around their tummy," she added. People hoping to avoid type 2 diabetes and its associate conditions – including the blinding condition diabetic retinopathy – should reduce the amount of excess weight around they middle, she recommended. 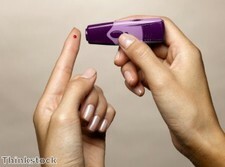 This reduces the chances of developing insulin resistance, which is the main cause of type 2 diabetes, Ms Chalmers noted. "Gentle daily activity such as walking more, taking stairs and swimming can all help you tackle your spare tyre. Smoking can increase sugar levels and also leads to insulin resistance, so try to pack in the cigs to help prevent diabetes," she added. A local pharmacist will be able to give advice on how to help prevent diabetes, as well as tips to cope with living with diabetes, the expert suggested. For those living with the conditions and hoping to avoid the onset of blindness and other health problems, intelligent blood glucose monitoring devices can be of use, she explained. Technology such as the new iBGStar can play a key part in helping people with insulin-dependent diabetes to avoid complications associated with the condition, Ms Chalmers noted.